The best songwriting books are the ones you actually take the time to read and apply what you learn. It takes a curious mind to be a songwriter. Songwriters dig deep because it’s rewarding work. That’s why it’s common for songwriters to be avid readers and always be educating themselves. Songwriting Without Boundaries helps you get in the habit of writing lyrics with fun writing exercises. It includes more than 150 songwriting prompts and four different fourteen-day challenges with timed writing exercises. Basically, read anything and everything by Pat Pattison, including Songwriting Without Boundaries. Tunesmith is a combination of anecdotes, songwriting tips. and professional advice. You may not agree with everything he says (perfect rhymes are best) but if you can move past the “back in my day” musings, you’ll get a fantastic songwriting education from reading Tunesmith. Songwriters on Songwriting includes interviews with 62 of the greatest songwriters of our time. It’s a massive book that you can dip into over and over again. Catch a glimpse of songwriting magic with the interviews in Songwriters on Songwriting. Davis follows up The Craft of Lyric Writing with this companion course, Successful Lyric Writing. The Songwriters Idea Book includes 40 songwriting prompts to spark your imagination. It also delves into the relationship between personality type, brain function, and writing style. If you find lyric writing difficult or don’t like your own lyrics, Lyrics should help you gain a creative edge. There’s very practical advice inside Lyrics: Writing Better Words for Your Songs, including how to channel personal experiences into lyrics, overcome writer’s block, imagery and metaphor, avoiding cliches, and much more. Rikki Rooksby has written quite a few songwriting books that you may want to check out on his author page. Robin Frederick is another author of many songwriting books. Shortcuts to Hit Songwriting is a fantastic list of ways to improve your songwriting. Shortcuts to Songwriting for Film & TV is a similar listicle format but geared more towards the needs of film and television. The Craft & Business of Songwriting goes behind the scenes of the music business to unearth insider secrets that will make your songs stand out. You’ll find exercises and anecdotes to help you become a professional songwriter. Murphy’s Laws of Songwriting shows you how to catch the ear of the distracted listener and get their attention. This book discusses professional songwriting and hopes to put luck on your side. 101 Songwriting Wrongs and How to Right Them is a collection of songwriting stumbling blocks you’ll encounter along the way with advice on turning them into stepping stones to songwriting success. How Music REALLY Works! is a visually-oriented and easy-to-understand book that covers all the important aspects of making music and writing lyrics. Forgive me if I remain skeptical about books and courses with “hit song” in the title. But Jason Blume gives practical and inspiring advice in Six Steps to Songwriting Success. This book contains lyric writing techniques, checklists, and tools for self-evaluation. Songwriters Playground is a collection of illustrated exercises designed to tickle and challenge you. It’s based on the highly successful workshops of Barbara L. Jordan, the television and film songwriter. Written in My Soul is a look at music history from inside the heads of the people who made it. Bill Flanagan, who would go on to create VH1 Storytellers and CMT Crossroads, spoke about songwriting and creativity with Bob Dylan, Chuck Berry, Carl Perkins, Joni Mitchell, Mick Jagger, Paul Simon, Van Morrison, Bruce Springsteen, Elvis Costello, Bono and nineteen more music legends. Tin Pan Alley dominated American music from the turn of the century to the 1960s and The Poets of Tin Pan Alley offers a unique new perspective on these great songwriters. Take a deep dive into the music and lyrics of these golden era songwriters, like Irving Berlin, Lorenz Hart, Ira Gershwin, Cole Porter, Oscar Hammerstain II, Howard Dietz, E.Y. Harburg, Dorothy Fields, Leo Robin, and Johnny Mercer. The Blues Line is a collection of nearly three hundred songs from more than one hundred singers that define the blues. Ma Rainey, Blind Lemon Jefferson, Bessie Smith, Leadbelly, Memphis Minnie, Robert Johnson, and Muddy Waters are represented with lesser-known artists like Barefoot Bill, Barbecue Bob, Bumble Bee Slim, Black Ivory King, and many more. No study of songwriting is complete without an understanding of the blues. The Complete Singer-Songwriter is filled with real-world advice and encouragement for both aspiring and accomplished songwriters. It also includes interviews with artists such as Joni Mitchell, Ani DiFranco, Arlo Guthrie, Chrissie Hynde, Paul Simon, and many more. How to Rap includes tips and advice from Clipse, Cypress Hill, Nelly, Public Enemy, Remy Ma, Schoolly D, A Tribe Called Quest, will.i.am, just to name a few. It covers everything from content and flow to rhythm and delivery. A first-of-its-kind guide, How to Rap provides a wealth of insight and rapping lore that will benefit beginners and pros alike. How to Rap 2 is the sequel to How to Rap and breaks down advanced techniques, like triplets, flams, lazy tails, and breaking rhyme patterns. Anyone dedicated to a craft knows we all start pretty crappy and get better as we practice our craft. Read a book and practice what you learn. You won’t regret it. 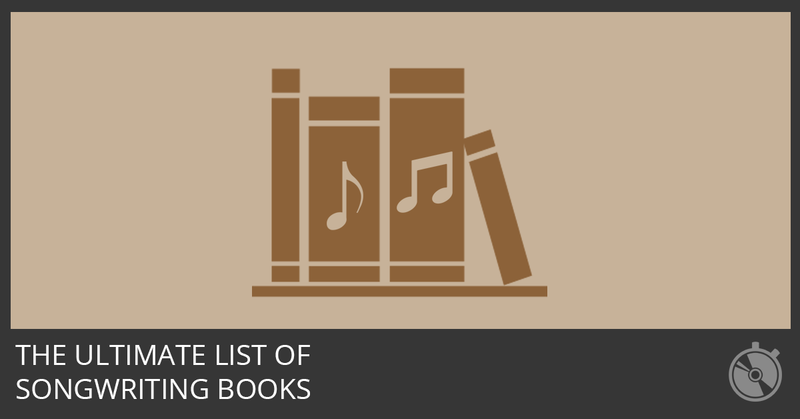 Thank you so much for including my beloved late husband’s book, “The Craft and Business of Songwriting” by John Braheny, on this wonderful list. I know many of the other authors as well — all very deserving! What a great resource. John Braheny’s book was the first book I ever purchased to learn the art and craft of songwriting. I have had several songs recorded nationally and internationally and am proud to say that John’s book jumpstarted my songwriting career. Sorry to hear that he passed. Paul Zollo has a second volume recently released, More Songwriters on Songwriting. I met John and JoAnn Braheny a few times, and attended seminars where they were featured. I bought The Craft and Business of Songwriting at the Taxi Road Rally about 15 years ago. The book, is incredible. I refer to it frequently. Only Lyrics by Rooksby? I would say “How to Write Songs on Guitar” could be the best songwriting book ever made (and it’s widely recognized as such). Sure, it’s focused on guitar, but the knowledge is there is extensive. Same with “Songwriting Sourcebook” and “Arranging Songs”. Definitely peruse, if you haven’t.